Vegas Casino Roulette Concept Illustration With Roulette Game, Casino Chips And Las Vegas Strip Sign In A Background. Royalty Free Fotografie A Reklamní Fotografie. Image 66142986. Reklamní fotografie - Vegas Casino Roulette Concept Illustration with Roulette Game, Casino Chips and Las Vegas Strip Sign in a Background. 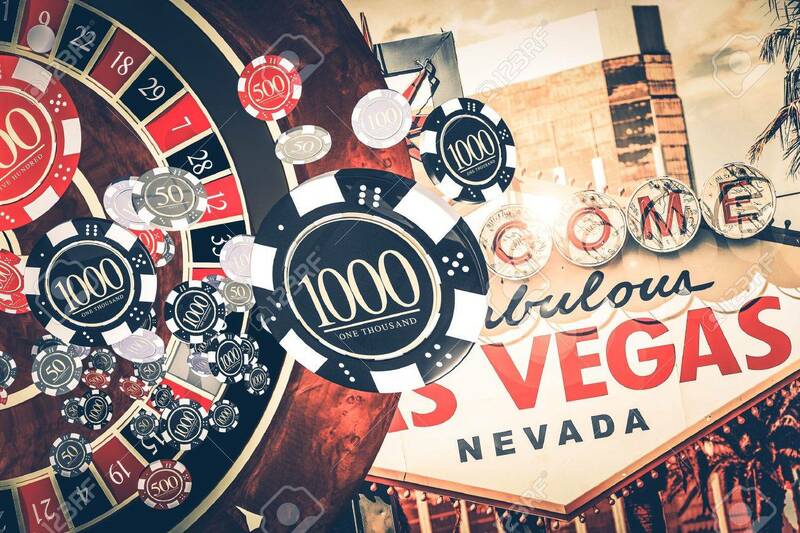 Vegas Casino Roulette Concept Illustration with Roulette Game, Casino Chips and Las Vegas Strip Sign in a Background.